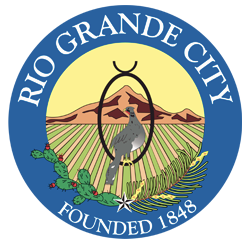 RIO GRANDE CITY — The city declared its opposition to the anti-sanctuary cities bill known as Senate Bill 4, the third city in the Rio Grande Valley to do so and the first in Starr County. The city commissioners approved a resolution Wednesday in which they stated they did not agree with “the divisive language” of SB 4. Villarreal said he believed the law would deter victims and witnesses of crimes from coming forward out of fear of being referred to immigration. “I do believe that they’re going to be less likely to come forward and unfortunately I think that the offenders or criminals are going to be the ones benefitting by this law,” he said. At the core of that fear is the possibility of being separated from their families, according to Rev. Eddie Villa of St. Paul the Apostle Catholic Church in Rio Grande City. The church had held a meeting the previous day with the Mexican Consulate and La Union del Pueblo Entero to inform residents about what their rights are when they are stopped by law enforcement. Many of the people who were at that meeting were at city hall, Villa said, in support of the city commission’s action against SB 4. In opposing the law, which goes into effect Sept. 1, the commissioners joined the commissions of Palmview and La Joya, both of which declared their opposition on June 29 during separate city council meetings. The city of La Joya voted to join the lawsuit challenging the new law filed by San Antonio, Austin, Dallas, El Paso, and other cities across the state. Palmview commissioners voted to file an amicus curiae (friend of the court) brief. Oral arguments in the lawsuit were held in June in San Antonio but the federal judge presiding over the case has yet to render a decision. However, a separate lawsuit filed in Austin by state Attorney General Ken Paxton against Travis County was dismissed by a federal judge Wednesday. The lawsuit, filed against Travis County and other defendants, was a pre-emptive attempt by Paxton to have the law declared constitutional. But because the law has not gone into effect, U.S. District Judge Sam Sparks ruled that Paxton had no standing. When the law does go into effect, Villarreal, the Rio Grande City mayor, said the city has no intention of breaking it.